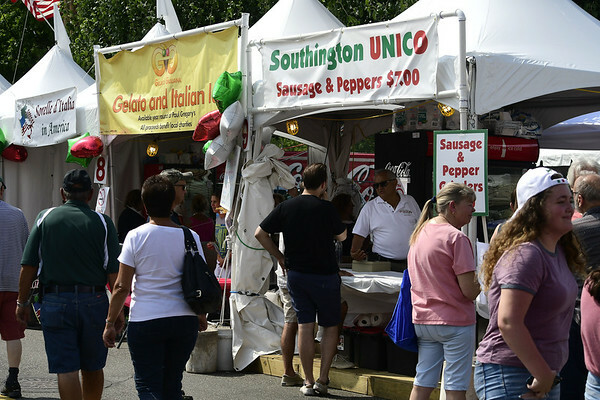 SOUTHINGTON - Downtown Southington looked more like Little Italy on Saturday, as the second day of the 14th annual Italian-American Festival drew crowds craving sausage and peppers, Italian ice, wine and live music. 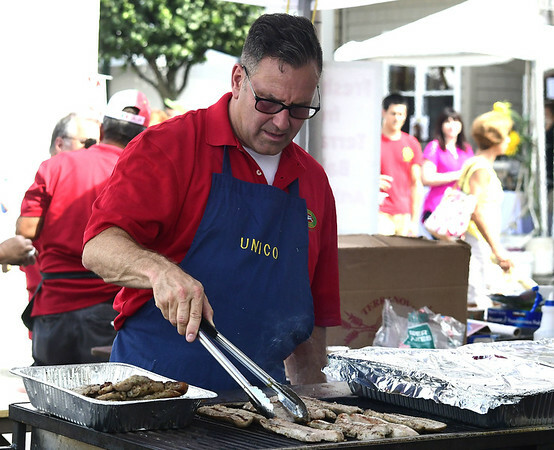 Center Street, closed to motorists for the festival, was lined with food vendors, carnival rides and wine booths. The sound of music reverberated for blocks, as a number of bands performed. Jessica Ruffini said she has been coming to the festival for about eight years. The food keeps her coming back, she said, while snacking on a cup of ice cream covered with sprinkles. “Italian rice balls,” she said, when asked what her favorite food was at the festival. “I like the Italian music,” Ruffini added. Manny Williams brought his 4-year-old daughter, Marley. Saturday was the first time in years that Williams had a weekend day off that allowed him to see what all the hype was about. “Not too bad,” Williams said of the festivities, while watching Marley on one of the carnival rides. “My goal is to put her on a ride and I eat some food,” Williams said, adding that he had already tried a slice of pizza. Elizabeth Sanchez, a face painter, dressed as a Disney princess while she looked for little girls and boys who wanted their face painted. This was her second year at the festival, as she was asked to return after last year’s. Roseann Sliwa and Mike Prue took the occasion to slow dance with each other to the live tunes. 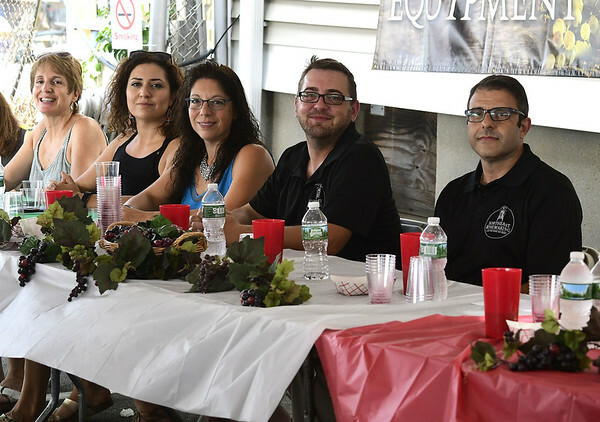 “It’s a wonderful time,” Sliwa said, adding that she has been coming for about 10 years. Kevin King happened to be driving around when he stumbled upon the festival. 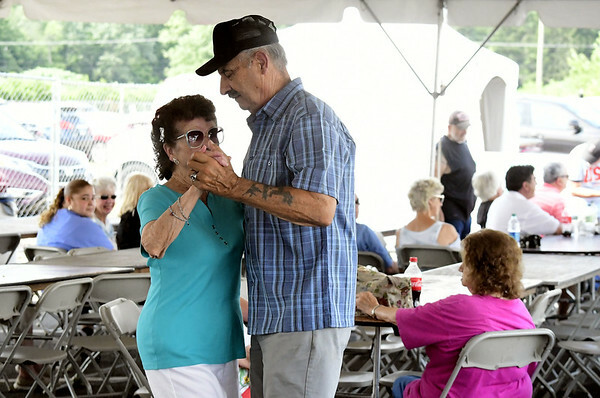 He quickly settled into the festivities, buying sausage and peppers on a bun and enjoying the music of the Sam Vincent Quintet, from Middletown. “It’s a nice cultural thing,” King added. The three-day festival wrapped up on Sunday, starting with its traditional 10 a.m. Mass, followed by the procession of the Madonna della Strada statue. Posted in New Britain Herald, Southington Herald on Sunday, 29 July 2018 21:29. Updated: Sunday, 29 July 2018 21:31.